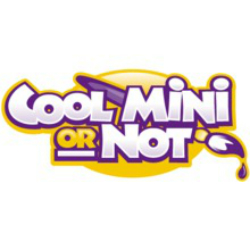 CoolMiniOrNot is both a studio and publisher of great tabletop games like Zombicide, Dark Age, Wrath of Kings, Arcadia Quest, Xenoshyft, The Grizzled, Rivet Wars, Kaosball and more! We pride ourselves on great design and beautiful miniatures that everyone can enjoy. XenoShyft Now Available On Steam! No Comments on XenoShyft Now Available On Steam! B-Sieged Encampments and Mulfins Are Here! No Comments on B-Sieged Encampments and Mulfins Are Here!